Hungarian Prime Minister Viktor Orban came to Moscow on a working visit, during which he has met with Russian President Vladimir Putin. 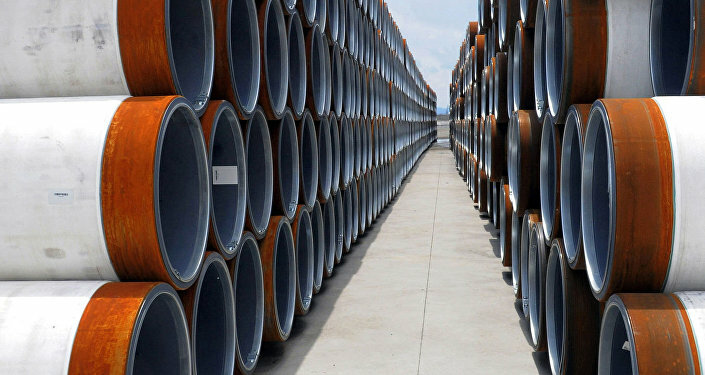 Russia and Hungary agreed on the parameters for Russian gas supplies for 2020, Viktor Orban stated after the talks with Vladimir Putin, also noting that he had asked the Russian President to consider extending the TurkStream gas pipeline to Hungary. "It is no secret that when the pipeline will be built in the direction of Hungary from the south, we would like it to pass through Hungary. That will be a great opportunity for Hungary and I asked Mr. President [Putin] to seriously consider such an option," Hungarian Prime Minister said. Commenting on the cooperation between the countries, Putin noted that Budapest was always a reliable partner and announced that Rosatom would soon start the construction of two power units of the Paks-2 nuclear power plant (NPP). In addition, Putin told the conference that Russia and Hungary are establishing a new intergovernmental commission for regional cooperation. "In line with our initiative, an intergovernmental commission for regional cooperation is being set up, and its first meeting will be held before the end of this year," the Russian President announced. Orban and Putin have focused on the economy and energy at their meeting, according to Hungarian Minister of Foreign Affairs and Trade Peter Szijjarto. The Kremlin press service said last week that the two officials would discuss topical bilateral issues as well as international ones. Earlier, Hungarian foreign minister Peter Szijjarto stated that the two countries had agreed on the quantity and price of gas to be delivered to Hungary in 2019.